Posted in Uncategorized | Comments Off on Reloaded. Wir zahlen nicht fuer Eure Krise! 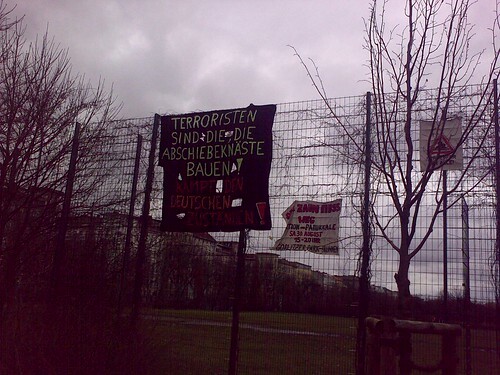 Posted in Uncategorized | Comments Off on Wir zahlen nicht fuer Eure Krise! Found myself in the middle of a demo on Saturday night. Couldn’t figure out exactly what they were up and on against — I think it’s the usual anti-establishment (Spreeufer, …) and pro open spaces/speech etc. kind of thing. Always good to see people excersing their right for free speech and taking part in this thing called democracy.